On the eve of the new season, regular Width of a Post writers’ Andrew Baxter, Mesh Johal, Luke Lockwood and Katie Whyatt take to the pundit sofa to share their views on the summer transfer activity and expectations for the coming months. Now some time has passed since the end of last season, what are your views on last year’s 11th place finish? Andrew Baxter: 11th is a respectable finish for a team that lost their best player in January, and suffered through injuries throughout the year, such as Reid’s injury at Sheffield United, and James Hanson’s various injuries towards the end of the season. Mesh Johal: For me it was imperative to maintain our position in League One. Admittedly we had a horrendous run after Christmas, but it demonstrated that we lacked the quality and depth to compete consistently. Saying that, I thought we ended up in a comfortable and solid position in the league. For a first attempt back in the third tier, I’d find it hard to complain. Luke Lockwood: It was a great achievement for our first year in League One, but just imagine how we may have done had we managed to adapt quicker following the sale of Nahki Wells? I don’t hold Parkinson responsible for that, as he set up at the start of the season correctly building his style around Wells and, after he left, it was quickly evident that Mclean was not a like-for-like replacement. Once we adapted to suit the players we had, our form picked up again and resulted in a very respectable finish. Katie Whyatt: I think the problem was that so many people measured the success of the season against those abnormally bright first few weeks, rather than in the context of 46 games as a newly promoted outfit. To deem that initial series of home victories ‘normal’ makes it seem like the club took the mother of all nosedives over Christmas, which is overly-simplistic. It’s normal for the division’s new boys to storm a league at first, then drop off as other teams figure them out – hence the cliché “unknown quantity”. For sure, the winless run went on much longer than expected, and the football might not have been entirely persuasive, but don’t forget that City lost the whole of their left side, Kyel Reid and James Meredith, within weeks of each other, along with Wells and Andrew Davies. They could have done it with more style at times, but they ultimately achieved the stated objective and finished with a stable platform to build upon. One word to sum up the summer’s transfer activity? Andrew Baxter: Progressive – Parkinson has brought in a blend of players who are experienced at this level, such as Alan Sheehan and Gary Liddle; and players who maybe don’t have that same level of experience but certainly have the potential to impress in League One this season, like Billy Knott. I was disappointed with the departure of Gary Jones and Nathan Doyle, as I felt that both had plenty left to offer to the club, but Parkinson has recruited sensibly, with Liddle, Knott and Billy Clarke being solid replacements. Katie Whyatt: Okay – I like how the club are privately handling their business. Additions are still needed, but I’m happy with the recent acquisitions. Players like Sheehan, Clarke and Liddle come with the track record and versatility that the slashed budget demands, and fans of their former clubs have heralded them all as sound, creative and consistent players. I’m also delighted we’ve managed to tie down Stephen Darby and Rory McArdle, making a solid back four, with the addition of Sheehan, into an exceptional one. Luke Lockwood: Anxious – I have faith in Parkinson to right the transfer wrongs of last summer and it will be interesting to see how we adapt to the new style of play he is obviously going for. I am a little concerned that a number of signings seem to be from those teams who struggled in this division last year – even if they were the stand out performers. The reports coming from those who have attended pre-season have been promising, but I take little notice of friendlies and will reserve judgement till I’ve seen them in action in competitive fixtures. Mesh Johal: Fragmented – The whole summer has felt fragmented. The way players has left and joined the club, it’s all happened in drips and drabs. We were told that the squad wouldn’t be finalised until August and at present it feels very incomplete. Whilst the summer signings seem exciting, it just feels that you’re waiting for some more news and it’s still yet to come. Which new player are you most excited to watch this season? Mesh Johal: I was a big fan of the Jones/Doyle axis so I am intrigued to see how the likes of Gary Liddle and Billy Knott fair. I have seen the majority of the summer recruits play for their previous club, but it will be interesting to see how they work in the much discussed “diamond” formation. Andrew Baxter: Gary Liddle. Whilst the midfielder might not grab all the headlines, his vast experience (325 professional appearances, 283 of these in League One) will give the team more stability, and Liddle will be a calming influence in a team that at times last year, certainly in the defence, looked a bit shaky. 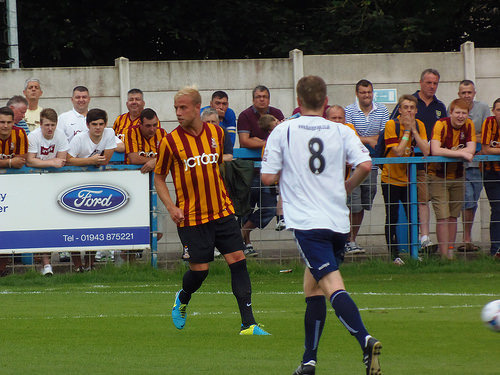 Luke Lockwood: Billy Knott – the only signing to really get me excited so far. Seems like he will be a key cog in the new City style of play and comes with very good reviews. I’m not sure he will score a lot of goals, but it sounds like he’s a classy footballer. Is Phil Parkinson under pressure? 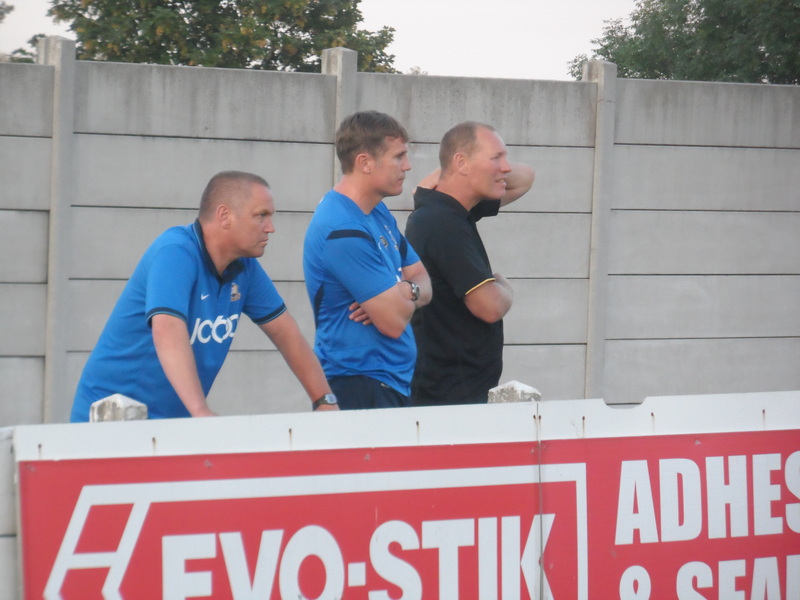 Should Phil Parkinson be under pressure? Katie Whyatt: Kind of and kind of. I think the majority of fans are viewing this season as step two of three to get to the Championship, so, while entering with high expectations, they will know things won’t be perfect and allow for that. However, last season marked, for the first time, a clamour for Parkinson’s head from some sections of the support – not something I would agree with at all, but you can understand some of the venom given the ineffectiveness of the summer signings and City’s direct style as the season progressed. There’s also the underlying issue of the reduced budget, with Parkinson expected to deliver better football and a higher league finish with £500,000 less to play with. The pressure on him has been turned up drastically, but I firmly believe most fans will recognise this and not bay for his blood if things go awry. Luke Lockwood: No and no, however I don’t think it will be too long before that changes. There are a few Parkinson doubters about, but I think for the time being they are in the minority. Things change quickly in football as we saw last year when we went through the poor run so I do think he needs a satisfactory start to this season. Andrew Baxter: I don’t see any reason why Parkinson should be under any pressure. The awful run of form last season is behind us now, but despite that, we still managed to finish 11th in the table. The signings he has brought in should provide extra creativity in the midfield (something that was lacking last season), and if the team performs to its potential, I see no reason why City can’t be in contention for a play off position, especially with Wolves and Brentford, who ran away with the league last year, being out of the division. Mesh Johal: Yes I think he is under a little bit of pressure. After last season’s performance, some will expect City to improve on the 11th-place finish. However, with the mass exodus of key players and the much publicised budget cut, pressure has been placed on the manager. Also, after last summer’s disappointing recruitment drive, judgment will be made on this year’s class very quickly which may add some heat. Finally there is much clamour amongst fans regarding a change in playing style. With so many big changes happening in such a short period of time, I just hope he is given time to fully implement his plans. Some still disagree with awarding him a three-year deal, but I see the progression of this club under his stewardship and think next season should be the one way judge him on. What are your expectations for the new season? What would you class as a success? Andrew Baxter: I think anything that improves on last season will class as a success, as this would be a top-10 finish. Obviously, I want City to get promoted, and I think that they can certainly contend in this division and contest for a play off place, but anything that builds on last year’s solid foundations will be a success in my opinion. Mesh Johal: I’m unsure what to expect to be honest. Those familiar faces are no longer here so I’m intrigued to see if the likes of Matty Dolan and Knott can stand up in the manner we need them to. I’m also still a bit concerned about the size of the squad. On paper the 2013/14 starting XI was a decent side; however, it struggled in the depth department. It’s the same again this year. If we get injuries, we could become unstuck. If we were to equal 11th place again then I would be very happy. I think this is a harder league than last season but with so many northern-based games I think we should look to enjoy it! Luke Lockwood: Put simply any position above 11th place. Hopefully an outside chance of the play offs in the run-in, but with the budget being slashed and losing a 25 goal striker I don’t think we should be looking at this year as the time to challenge for promotion. Who do you think will be City’s most important player this season? Luke Lockwood: Andrew Davies – he has been our most important player for the past two seasons in my opinion and makes the biggest difference when in the side. If we keep him on the pitch and not in the treatment room then I think we will finish higher up the table this time round. It might be controversial but if I had a choice between a fit Andrew Davies and Stephen Darby I’d take Andrew Davies every time – the difficulty is keeping him fully fit. Andrew Baxter: James Hanson. Hanson has adapted and improved his game drastically since arriving at the club, and this has led to him improving his goalscoring record. Last season, Hanson scored at an average of one goal every three games, and went on a fantastic run just after Nahki Wells’ departure, where he scored six goals in nine games. If Hanson can keep up his goalscoring record, it can provide a platform for the rest of the team to chip in with goals. Mesh Johal: Andrew Davies. We are a team built on solid foundations and with him playing we are a better side. Unfortunately, his fitness record at the club suggests that he can’t play a full season and we need to make sure we have an able back up to fill his boots. Last season we didn’t and it cost us, especially during that run of one in twenty one. Katie Whyatt: For me, the success of this season hinges on the front two, and whether the forward line, whoever it consists of, can become as prolific as the one before it. Whilst it’s obviously unfair to directly compare Aaron Mclean with Wells – hence why the jury has stayed out for this long, pacified by the prospect of a team built around Mclean – the fact the former Hull man’s three-year deal eats up a sizeable chunk of the wage packet means we desperately want (and need) him to come through. If he does, fantastic – it’s further credit in the bank for Parkinson as an outward sign of progression, and the club can begin moving further up the ladder. Otherwise? It’s more ammunition to spray the gaffer with – and a genuine worry about where the goals are going to come from. The form of Mclean and Hanson will define the campaign. Will Phil Parkinson be manager of Bradford City in 12 months’ time? Mesh Johal: I hope so. Next August will be the final season of the three-year deal and I’d hope by then we’d be in a position to really mount a challenge out of this league. 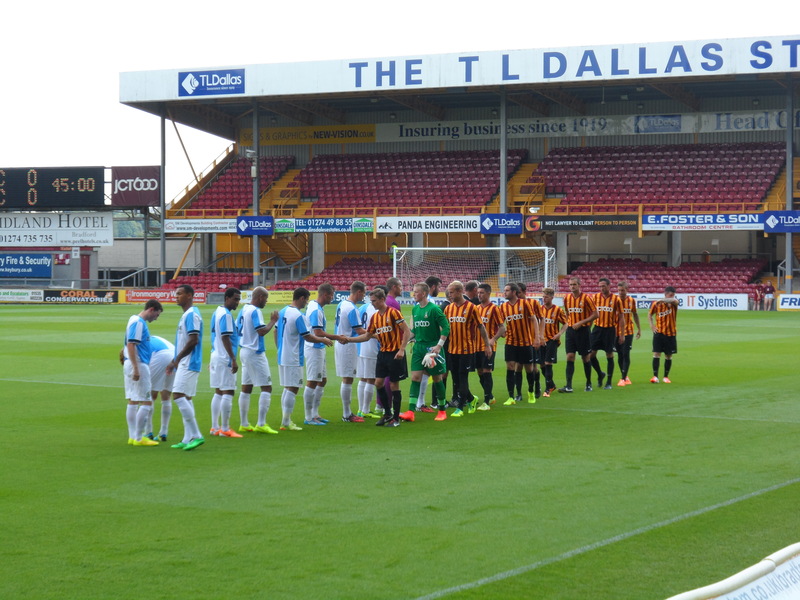 Andrew Baxter: Barring an approach from a Premier League club (or Reading!) or an abysmal run of form, I believe Phil Parkinson will be manager of Bradford City this time next year. He still has two years left to run on his contract, and the ultimate aim of Championship football by 2016 is still achievable. Luke Lockwood: I hope so and think he should be as long as we maintain our position in the top half. Considering he has had a significant chunk of his budget cut I think that will be an achievement. Then next year he should be given the mandate to take us to the next level. Katie Whyatt: Yes. I think things would have to go horrifically, horrifically wrong – which I doubt they will – for the board to cast aside the three-year plan and sack Parkinson, and I don’t think they’d be pressed by any pressure from the stands, either. ‹ 2014/15 previewed: An ageing Kate Moss or a fallen Madonna? All .. There are some interesting observations raised concerning the forthcoming season some of which were consistent whilst some other views differed. Thanks for your own thoughts. On the issue of PPs tenure, I trust that he will be here next season, the last one of his current contract, to finalise what he started and to gain promotion to the Championship. Regrettably I don’t imagine that having a below average budget (14th highest to be precise) will enable a tilt at promotion this coming season. But I hope that it is part of a master plan to establish the new squad (with some further acquisitions!) and then use that as a platform for with an increased budget in 2015/16 to mount a serious, and hopefully successful, push for promotion. If that isn’t the case then I can only assume that MLs stated plan for promotion to the Championship during PPs contract is a hollow one and has not been supported with the right level of resource by the club’s owners.